One of the men who lined up to join the Coo-ee March at Gilgandra has been listed as “C. A. Simpson” on the Cooee March Memorial Park gateway in Gilgandra, and in the book The Coo-ee March by John Meredith (1981). Simpson was incorrectly named as “C. Simpson” in a photo published in the Daily Telegraph (pictured on left below), which possibly lead to the incorrect initials being assigned to him. 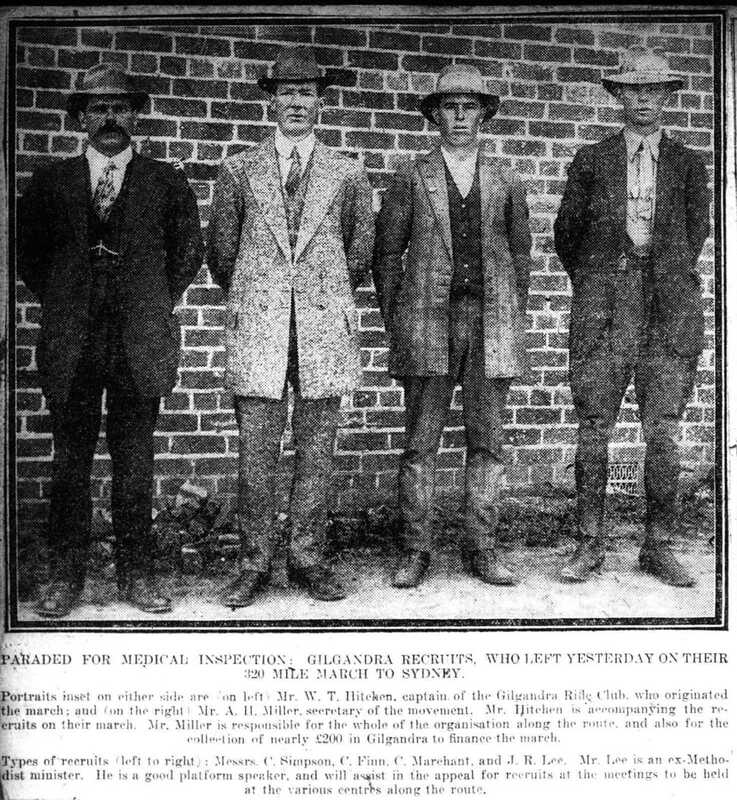 An article in The Farmer and Settler (19 October 1915, p. 3) reported that ‘In addition to the men sworn in at Gilgandra and at towns en route, the great march column numbers: … Simpson, temporarily unfit, but hoping to pass the doctor in Sydney’. 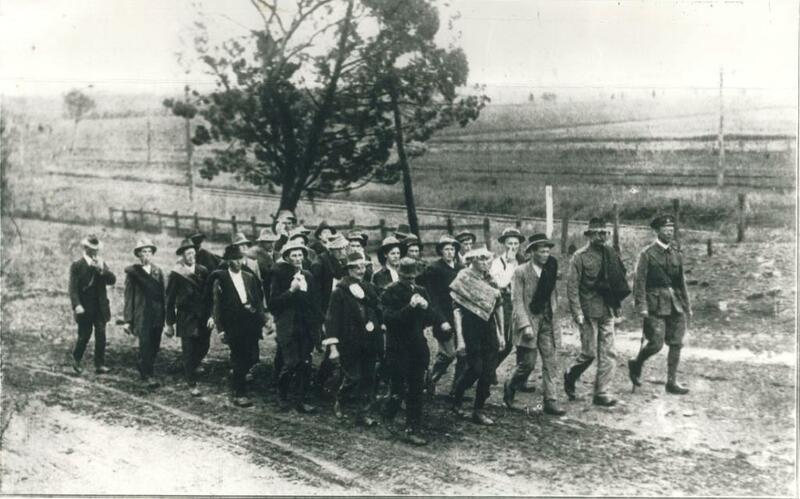 Further down the same page is reported: ‘One of the men marching to Sydney has failed to pass the doctor. He waited for three weeks in Gilgandra, paying his own hotel expenses, and then when he stripped off for the medical inspection he was “turned down” for hernia. He is physically the strongest man that has offered, and, is otherwise “as sound as a bell”. He intends to march to Sydney, undergo an operation upon arrival, and submit himself again’. A chance review last week of a document held in the official correspondence from the march held in the Mitchell Library, which lists an “E. Simpson” with a period of enlistment from “9/10 to 11/11/15” with other Coo-ees still waiting for payment for their period of service who had been rejected as medically unfit on arrival at Liverpool Camp, has enabled his identity to be established. Knowing the correct initial for his first name, and that he had actually enlisted, allowed for his service record to be located on the National Archives of Australia website. 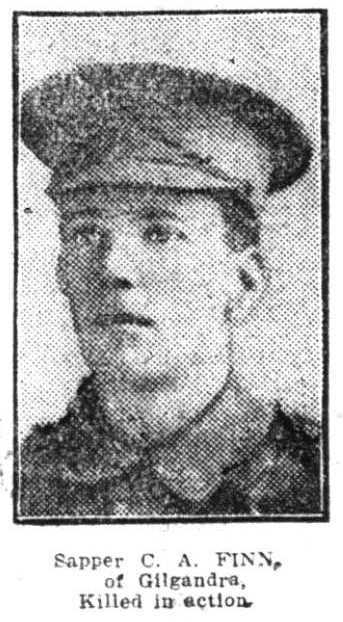 He is listed under the name Ernest Simpson, joining on 9th October 1915, at Gilgandra. He was born in Horsham, Victoria, and gave his age as 33 years, and his occupation as labourer. There are no details entered for his description on his medical certificate form in his service record papers. 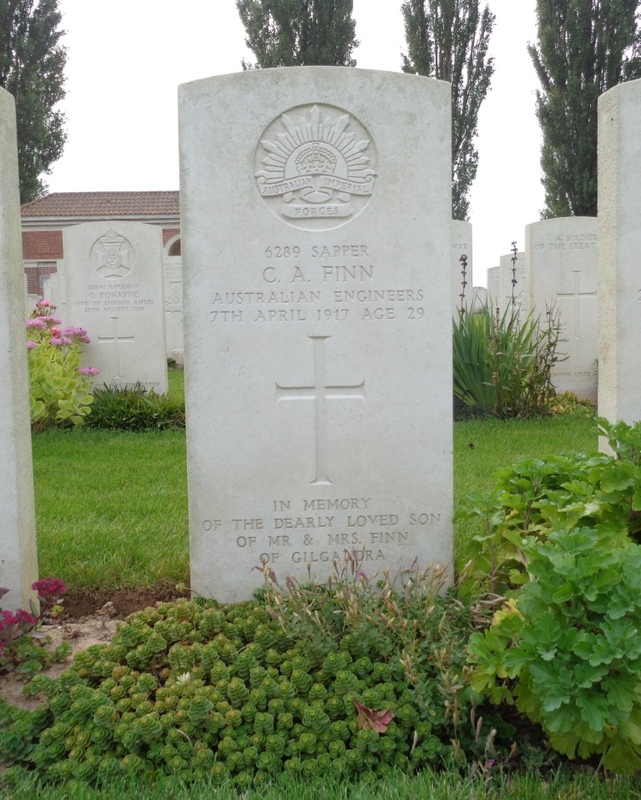 His next of kin is listed as his father, Duncan Simpson, Renmark, South Australia. On the ‘Detailed medical history of an invalid’ form in his service record dated 17th November 1915 at Liverpool, he was found by the medical board to have a double inguinal hernia, and to be unfit for military service. He was medically discharged on 29th November 1915.